Looking for shipping containers near me in San Francisco? 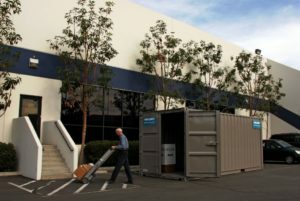 If you want to work with the best company in the industry, Haulaway Storage Containers is the perfect solution. We pride ourselves on our friendly and attentive staff, as well as our excellent problem solving abilities. If you ever find yourself in a dire situation where you need a storage container delivered as soon as possible to your home or business, we will speed up the process for you! We’re simply the premier provider of shipping containers in the Western United States! There are countless applications to our rental units, and some of our previous clients include medical facilities, school districts, business owners, home owners and more. If you have anything that needs to be stored, we can give you the best container to store it in, right at your front door! You might be wondering, “What are my options for rental storage containers near me?” At Haulaway Storage Containers, we like to provide our customers with endless options. From 10 foot shipping containers to our mid-size 20’ and full 40’ containers, we’ve truly got something for everyone. You can trust the sturdy solid steel construction to keep your personal items safe and secure no matter the weather conditions, and patented lock systems such as the Rhino keep your belongings free from tampering. We believe that your peace of mind is the most important factor when it comes to choosing a storage container, which is why we like to cover all our bases. Simply put, there’s no better company to work with than Haulaway Storage Containers when you’re on the hunt for the perfect storage solution. We’d be happy to provide you with a free quote, simply fill out our online form or give us a call and we’ll get the process started today!